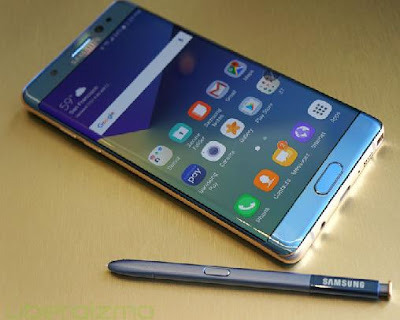 New Delhi : South Korean multinational conglomerate company, Samsung plans to begin selling its infamous phablet, the Galaxy Note 7 in India ahead of the festive season of Diwali. The company postponded the sales of the device earlier this month after the battery cell issues. Samsung recalled over 2.5 million Galaxy Note 7 handsets worldwide. The device was slated to go on sale in India on September 2. However, the company informed the users who pre-booked the device about the delay in shipment of the smartphone. Samsung stated earlier this week that over 60 per cent of the sold recalled Galaxy Note 7’s have been replaced in the US and South Korea. In Singapore, the company has exchanged 80 percent of all Galaxy Note7 phones sold. Samsung will go against the likes of Apple’s iPhone 7 and iPhone 7 Plus which will go on sale in India starting October 7. It is clear that Samsung will not be able to launch the Galaxy Note 7 in India by then.